Only two days ago the first image of the upcoming 8047 Compact Excavator appeared, and now also two other 1H2010 sets show up to the public! 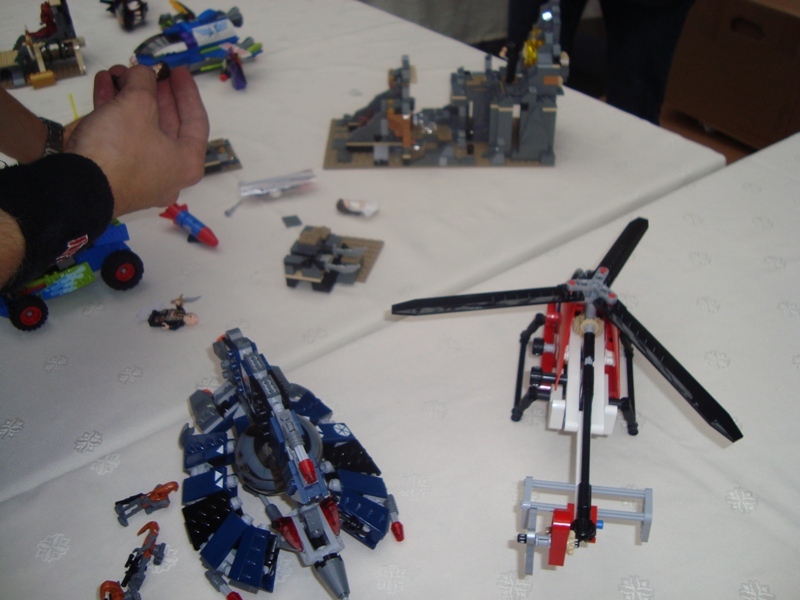 On this Flickr set there are many pictures of upcoming sets, among which there are the 8046 Helicopter and the 8048 Buggy. From the colour pattern, I assume this is a rescue helicopter. That would explain the two knobs on its left side: probably one for the rotors (why not a crank, why?!) and one for a winch (which can actually be seen on the Buggy pictures below). It would be silly to have a knob for the main rotor and another one for the tail! 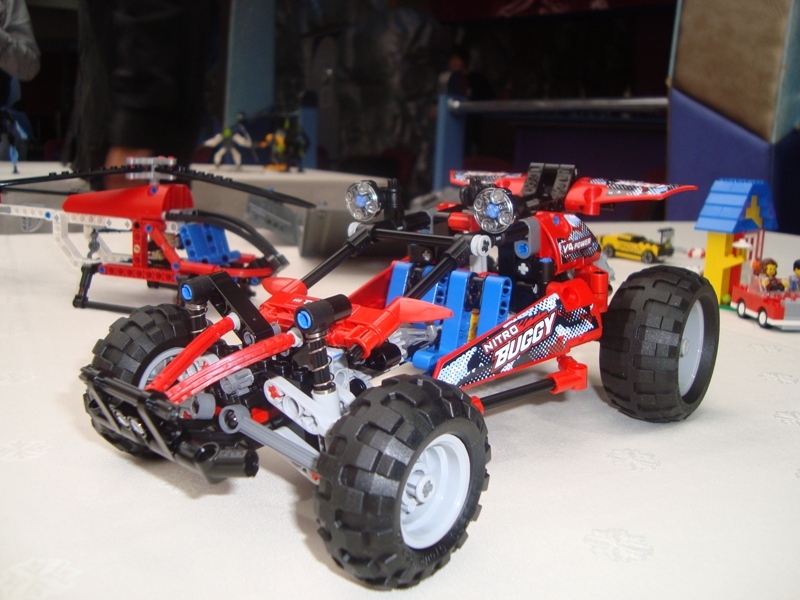 It looks an evolution of the 8296 Dune Buggy, with front suspension added. 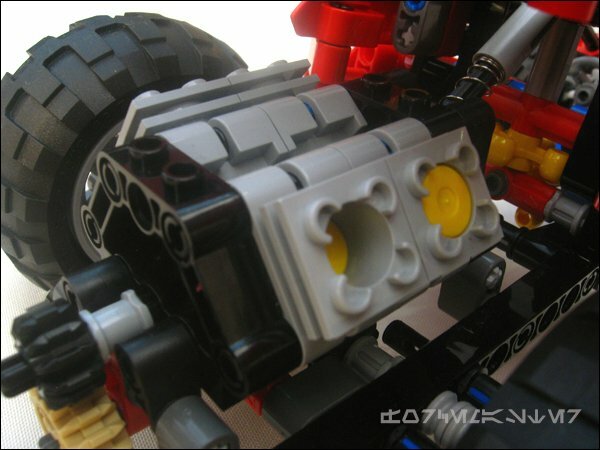 From one of the pictures, we can see at the rear a glimpse of a piston engine; let's hope there's also rear suspension! So, three out of five new sets have shown their faces, all of them medium-sized. So, there are still left to be seen the smallest and the largest sets for next semester… can't wait for those! 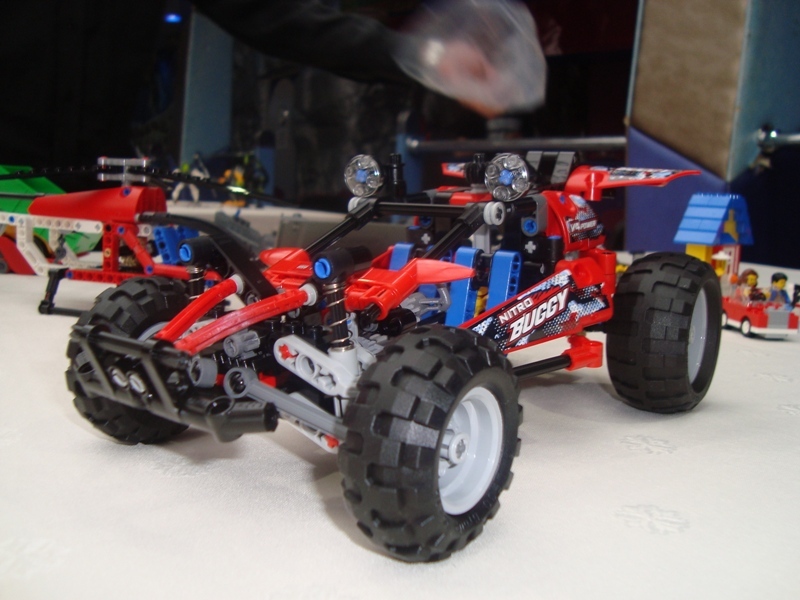 Meanwhile, other pictures by ForceMaster appeared in Eurobricks, which clear some doubts about these new sets, especially the V4 motor, rear suspension and functional steering wheel on the Buggy. Also the new shots make these models look far better. Specially the Chopper as for the Buggy it was already looking to be an interesting model. Thanks for taking care Alexandre! 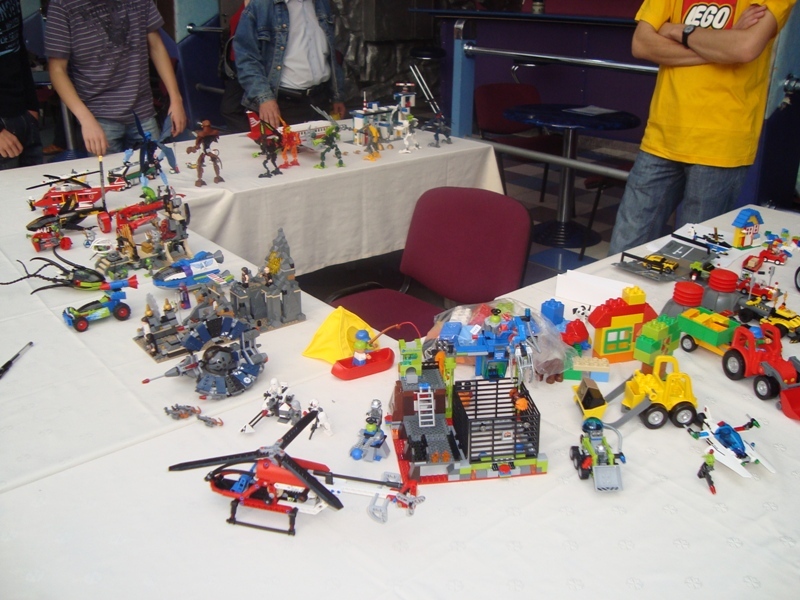 In fact these were more or less like expected in size and functions. I liked the buggy aesthetics! Thank you for quick informations. 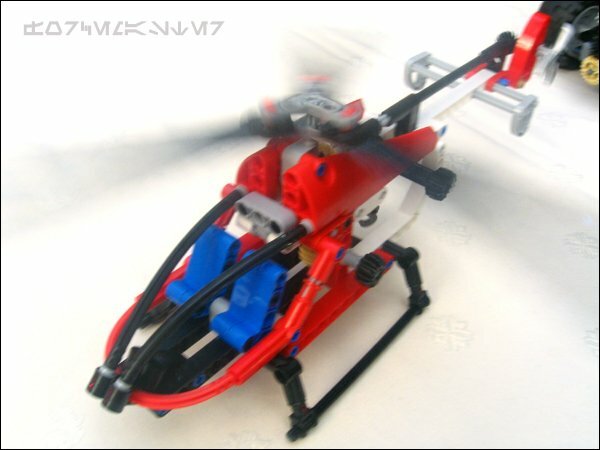 I like the buggy with front suspension, and the Helicopter looks very neat and simple ! 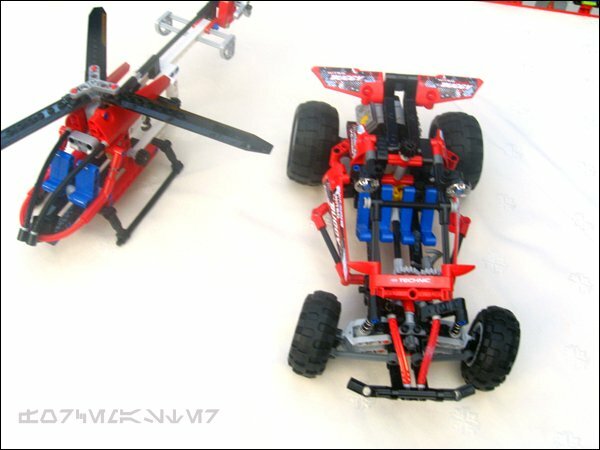 In the third pic of the helicopter you can barely see the rear suspension on the buggy but, it's there. Yes in that third picture I can see a v4 engine in the buggy. It's pretty much as I expected and looks very nice. The helicopter is as expected aswell. The winch is a nice addition although there seems to be alot of empty space in the back, probabley for adding a motor. 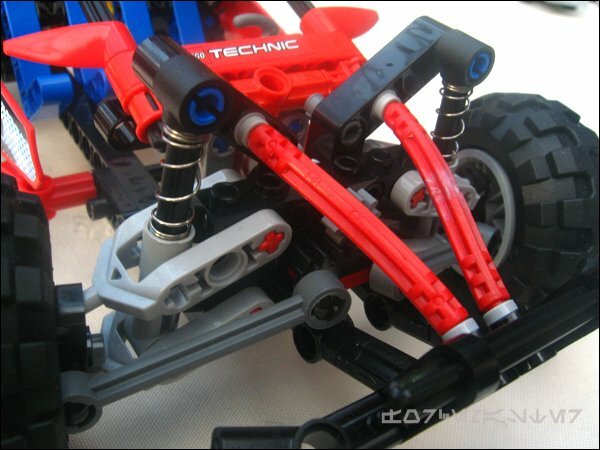 On the Lowlug forum ( technic 2010 topic ) is a new picture of the mini excavator. Why won't you just link it? 8049 tractor with a flatbed on logs - Pneumatic function returns! First model 2010, which can boast of this great technology with a flatbed tractor is the timber, which has articulated crane arm with a mechanical forceps uchopovacími powered pneumatic pistons! It can harness the flatbed and controlled management of the cab - this tractor is a must-have! 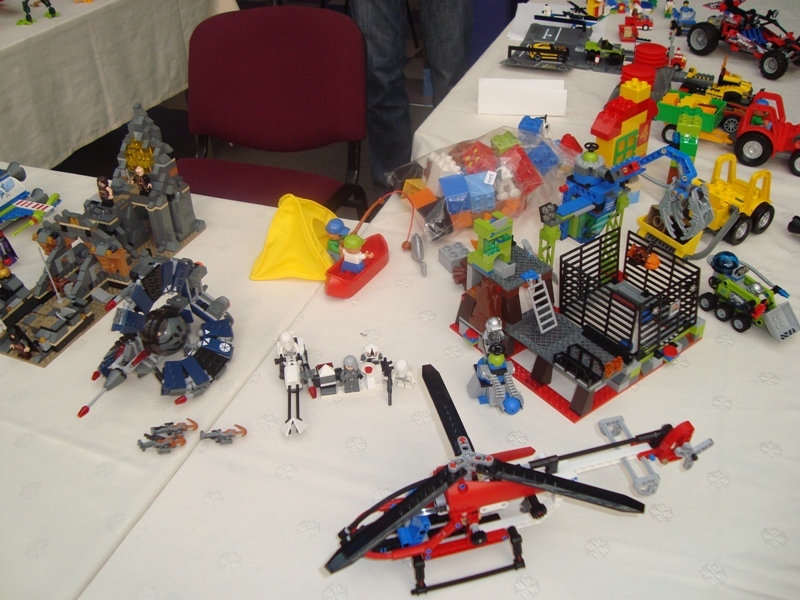 This is writed on www.legoland.cz pages under "lego new 2010"I used google translator.What do you think about this! Btw, it looks very nice. Is the steering mechanism new? I wonder what rack piece is that, because of the small balls right below it.. The steering mechanism is the same as the set #8435. ;) (look at the building instruction on peeron). Good to see the rear suspension on the buggy has been confirmed. It looks like a really interesting set. And having a steering wheel that is more than just decoration is also a plus. Model isn't finished though (I think) as the seats are pretty poor.